In Match 27 of VIVO Indian Premier League 2019 (IPL 2019), Mumbai Indians would look to take advantage of the home ground as they host Rajasthan Royals at the Wankhede, Mumbai. 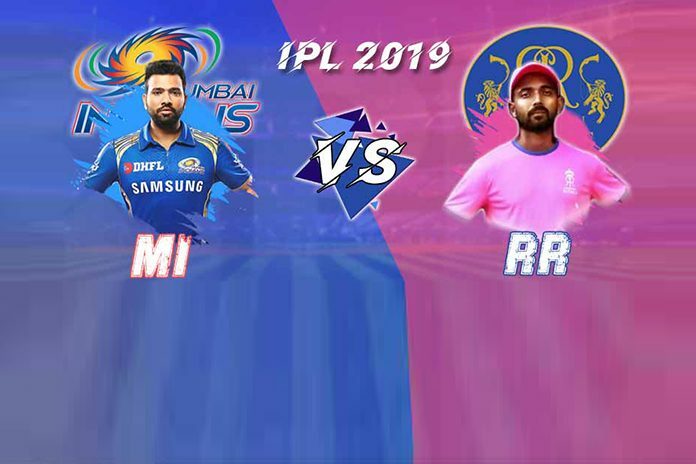 The MI vs RR IPL 2019 match will be played on April 13, 2019. The MI vs RR IPL 2019 match will be played at the Wankhede, Mumbai. The Mumbai Indians and Rajasthan Royals ( MI vs RR ) IPL match will begin at 4:00 PM IST. The match starts at 4 pm. Broadcast on Star Sports Network channels will start from 3:30 pm. Star’s OTT platform Hotstar will live stream the match.